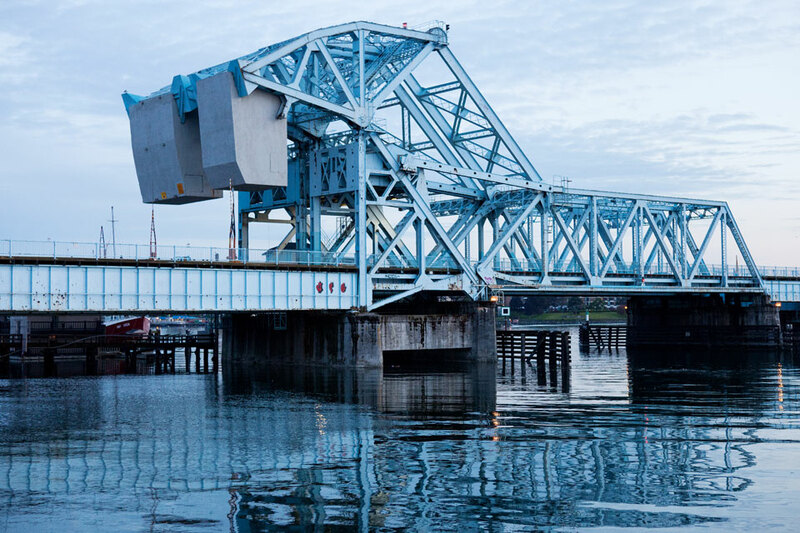 Recently, in Victoria, BC, they finished the construction of the replacement of the historic Johnson Street Bridge. 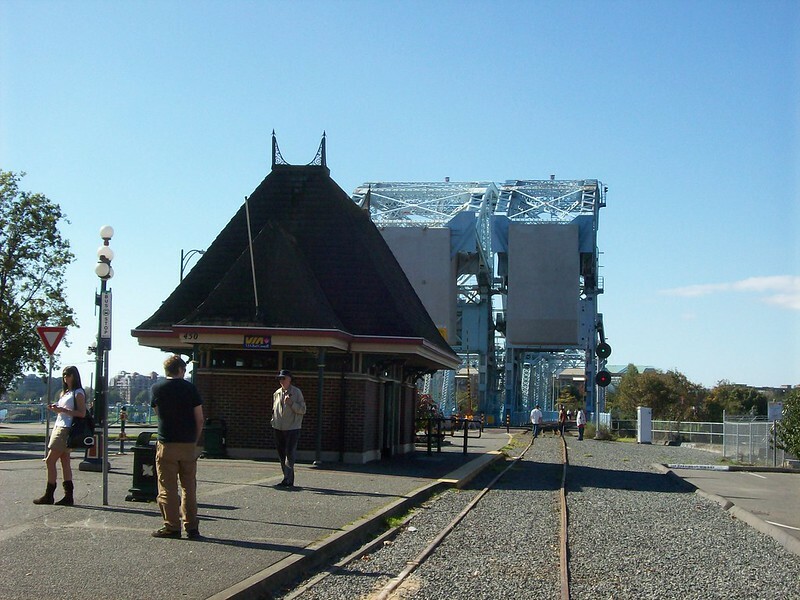 The replacement, in my opinion, goes against the City of Victoria's commitment to their local history. The old one, to my knowledge, is in acceptable condition, (after further reading it was not, it was vulnerable to earthquakes and had a few issues in the past, although not recently) and is definitely a better fit for the city and its historic character and qualities. New one on the bottom (with twitter link to new one), old one on the top. Which one do you think would match the historic character of a colonial city better? The old, unique bascule bridge? Or the new, futuristic drawbridge? I understand the necessity of a replacement if a bridge is not in good condition, but did it have to be this option? If I were in charge, I would have looked for a design that matched the historic character of the city, or even, if feasible, rebuild the old bridge from scratch with better technology. Traffic capacity also wasn't an issue for the bridge. When I had visited Victoria, the old bridge blended in very well with the city and was overall interesting to look at and walk across. Personally, I think the new one is ugly, but that's just the opinion I have. I tend to have a dislike for more futuristic styled bridges and architecture. 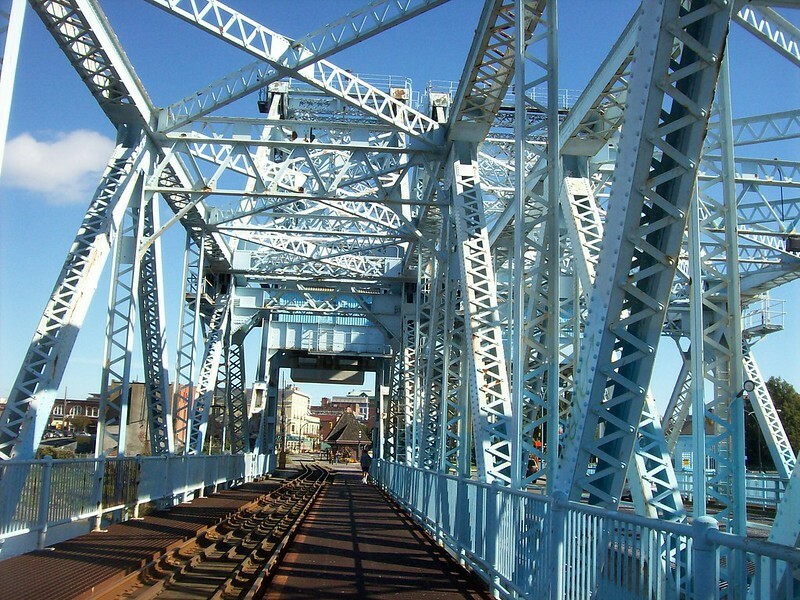 Normally, I prefer old to new, but the old truss bridge looks like a caterpillar with fangs. I should note (and I will do that with an edit to my post) that the narrower span isn't there anymore, so the second thing that looks like a fang isn't there anymore. It was owned by the railroad there, I believe. If I remember correctly, they neglected to repair it to the point where it simply had to be removed. That old bridge literally looks like a monster. Function over form to the extreme. I must assume it was once a rail bridge? It looks like a rail bridge. I don't like that industrial vibe the old bridge gives off; like it crosses water that would be dangerous to touch. Seems out of place for an inviting waterfront. The new bridge is not fantastic, but it fits better with what the neighborhood is now. I was lucky to get photos while I could. When I earlier visited Victoria, the railroad portion of the bridge was signed as no trespassing. Later, on this visit, it was part of the Galloping Goose Trail. If I had known that earlier, I wouldn't have gotten lost trying to find the start of the trail on the other side of the water. By then, the bridge only took trains to the station, and the rail ended shortly after that. Now Victoria proper doesn't have rail service. I believe it's like that for the whole of Vancouver Island. When I had visited, the tracks looked rather overgrown and unkempt, as well as the RXR equipment. I had read that the whole of the island has had rail service shut down for a while due to poor maintenance. Shame seeing rail go to pot like that. I was never a big fan of the old bridge. It wasn't the first bridge over the Harbour, and it was definitely a case of "function over form" (as triplemultiplex said above). Victoria has a pretty low-slung skyline compared to Vancouver, so a shorter bridge definitely fits in better.